If you would like to find out just how much our expert end of tenancy service will cost, contact our 24/7 customer care. It is possible to do that by calling 020 3404 0500 or by using the online contact form. Excellent Carpet Cleaning is a leader in offering a really successful experienced deposit back cleaning service, appropriate for all people and companies in Waltham Forest E. We have much more than a decade of knowledge in offering a high quality assured move in and out cleaning service. 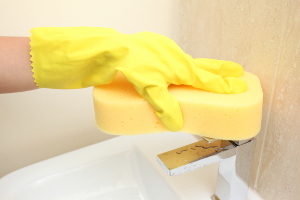 Our knowledge with tenants, landlords, companies and people who are buying or selling a property has allowed us to create a detailed tenancy cleaning checklist, that has been accepted by a multitude of landlords and estate agencies in the region. If the property is not cleaned properly, the property owner or manager might hold back element of all your tenancy deposit for cleaning costs. We all know what they are wanting, and we are available to clean any sort of property to meet their requirements, and to guarantee that you receive your bond back. The end of lease cleaning business has the essential means to do that, such as: a well trained and knowledgeable cleaning employees, almost all expert cleaning products, devices and methods required, as well as certified and risk-free professional cleaning liquids. Bear in mind to reserve the tenancy cleaning service any time you are relocating - we will assure that your landlord will be happy with the final results! A staff of experienced cleaners will arrive at your property right after you have moved out your stuff, and will start cleaning each room from top to bottom in compliance to the pre-accepted tenancy cleaning checklist. There is no time limit for this service, so our team of cleaning workers will stay till every single deep cleaning job has been finished and checked off the cleaning list. They have all the equipment, resources and cleaning treatments needed to provide a high quality one off cleaning service. We offer you a 48 customer satisfaction assure for this certain cleaning service, so in case you are a property owner or property manager and you have a complaint, we will come back and re-clean the property absolutely free! The booking procedure is effortless and also quick. Contact 020 3404 0500 or use the online reserving request form here. We are available always available and will process it within the next Two hours. No advance payment is needed. Our price is fixed, no hidden fees. Our regular clients, real estate companies and landlords get preferential rates. We provide a forty eight hours customer assure, so if you want to be certain that you receive your tenancy deposit back in 100%, make sure to let us do the relocating cleaning for you!